I know I've gone on often enough here and there about the great Marion Brown albums of the mid 70s, but damn they're good and still unreleased on disc. 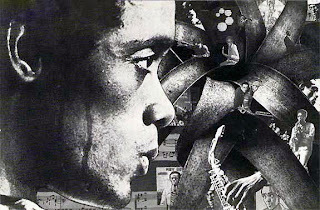 "Geechee Recollections", recorded in June of 1973, is the first of the Toomer trilogy (poet Jean Toomer and jsut such a unique, wonderful record. Free country jazz? I guess there are other things that could fall into this category (John Betsch's "Earth Blossom" maybe) but they're few and far between, at least at this level of quality. Leo Smith and Steve McCall are the two sidemen with big names but everyone's absolutely fine: Abraham Adzenyeh and the late Jumma Santos on percussion (the intro to the opening track is a feast of intertwined percussiveness), James Jefferson, bass, William Malone on thumb piano and autoharp and, especially, Bill Hassan's narration of Toomer's poem, "Karintha". I'm not the boggest fan of jazz/poetry combos by any means but this one hits exactly the right tones and Hassan's voice has a great, real musicality. And man, the fantastically titled "Buttermilk Bottom" is the finest free funk antecedent to work like Mitchell's "Snurdy McGurdy" that I know. Side Two is a suite, "Tokalokaloka", bracketed by brief solo statements from Brown and Smith. It's a much looser, less countrified piece, one that would fit comfortably in an Art Ensemble set, with a strong African current in the percussion and works itself up into an excellent lather and, eventually, a lovely, bittersweet theme. But as good as "Geechee Recollections" is, for me the gem of the bunch is "Sweet Earth Flying" (as with the prior album, images are aggravatingly difficult to come by on the web. The above is from Ebay, where the vinyl can be had for around $10 as I type. Go for it!) THe band--and what a band it is--consists of Brown, Muhal Richard Abrams, Paul Bley, Jefferson, McCall and Hassan. Each side is a suite, the title one opening with a gorgeous Bley solo on Fender Rhodes, elaborating with vast feeling on an achingly beautiful theme of Brown's. The whole group comes in on Part Three (I guess Part Two didn't make the cut), Bley still on FR, Muhal playing "Ring modulated Hammond organ" (! - sounds great), Brown's woody tone singing out, bearing some amount of pain. Bill Hassan returns for one of the major highlights on "Prince Willie", for which he penned the words, leaping from Swahili (I think) to English midway through. It's perhaps the most musical vocal recitation piece I've heard in a jazz context, absolutely thrilling. Brown's entrance after the main vocal is also a marvelous and memorable thing. And then...and then, as if that's not enough, Side One close with solo Muhal on acoustic piano. I've said it before and I stand by it: I know of know more stunning and deep example of Muhal's playing than this here, though presumably some of the credit goes to Brown for the thematic material--hard for me to tell how much is improv. As on the prior LP, the suite taking up the second side (here, "Eleven Light City") is a more expansive, looser-limbed set of material. It's rather different than the pieces on Side One, perhaps a bit less overall impressive but still a fine, fine work. The keyboards dart all over the place, sometimes electric, occasionally not, plus the odd Hammond appearance; indeed, there's a tinge of early 70s Miles to be heard here. Brown has a great, tart solo after a particularly loony ring-modulated section, the perfect antidote. Brown wafts over Bley and Muhal, taking things out with dignity, wistfulness and a touch of sorrow. That this album has never been issued on disc (at least that I'm aware of) is an enormous shame. 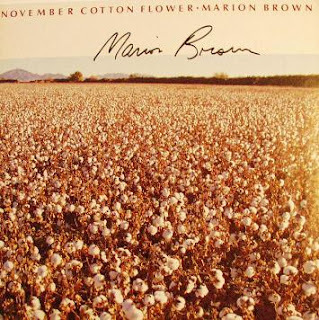 I think "November Cotton Flower", the final piece of the trilogy, was released on two or three occasions; mine is on the Japanese Baystate label. Recorded five years after "Sweet Earth Flying" with a very different band (Hilton Ruiz, piano; Earl May, bass; Warren Smith, drums; Karl Rausch, guitar) the sound is rather different as well. More subdued, "straighter". I had seen Brown perform once in the meantime, at Axis in Soho, and recall being quite disappointed at the Latin-pop tinge to his music that day; it seemed very superficial and I think it was one of the very rare occasions when I left a live set midway through. This album is better than that, substantially so, but perhaps overly relaxed and routine in its structure. He performs "La Placita" here, a piece I have the impression was fairly ubiquitous in his sets around this time and, I have to say, it doesn't wear well. "Fortunato" carries a lovely theme (reminds me very much of something I can't put my finger on) but again, it's theme-structure-theme, an approach largely avoided on the earlier recordings. The revisiting of "Sweet Earth Flying", though, is quite effective, easily the highlight of the album. Likely even rarer than the above three releases is the lovely album of Marion Brown compositions performed by Amina Claudine Myers, "Poems for Piano", one of, I think, five recordings ever issued by Sweet Earth Records, from 1979. I'd seen Amina on many an occasion at Environ and elsewhere in the mid-70s but I'd always found her playing in avant jazz groups a bit lacking, far preferring her more gospel and blues oriented work. Here she weds that latter approach with Brown's pieces and the result is quite beautiful. There's a lot of Muhal in her style, true, but when she digs deep into her roots, she's a unique individual ("Sunday Comedown" and much of Side Two). She can go on a bit more than necessary sometimes, as on the rendition of "November Cotton Flower" here, but by and large she's just fine. Some interesting pieces I was otherwise unaware of, like "Evening Song" with its surprising Satie-like phrases. A really nice album. Along with Abrams' "Afrisong", probably my favorite solo piano to come out of the AACM (albeit via Georgia). Marion Brown's been in poor health in recent years, including undergoing brain surgery and having a portion of a lower limb removed. I think last I heard, he'd relocated to Florida? Very sad. A lovely musician who flies beneath the radar all to often. sweet earth flying! thats a good one. i passed up a copy last spring, and kicked myself when i got home and read yr all music review. someone soulseeked it for me. i dig that groovy 70's stuff, i think of Pharoh Sanders Izipho Zam as a good companion, though recorded earlier. this weekend i had a chance to pick up "afternoon of a georgia faun" and/or "La Placita/Live in Willisau" and bailed on both. la placita has a guitar player on it...tough call. have you heard the -his name is alive- marion brown project that recently came out? i havent but have been curious, seems like a jazz indie rock connection a la yo la tengo/sun ra. I've heard of the His Name Is Alive project, but haven't heard it and, really, can't work up much interest. Always meant to get a hold of "Afternoon of a Georgia Faun" but never have. Probably wouldn't mind hearing some of Brown's 60s work at greater length as well. I don't think of his work in the same sense as I do Sanders' more celestially oriented stuff (though I like that, in general). Brown's much more earthy to my ears. Afternoon of a Georgia Faun is fantastic. One of my all-time favorite records. Sad to hear Brown's in a bad way; I like his Impulse! records but haven't heard much else, so I'll have to track some of these records down. 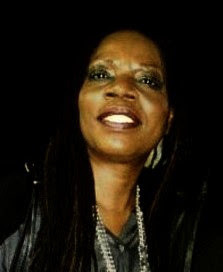 Meyers has done some great soul-oriented stuff with Bill Laswell-related projects; I love her playing on Nicky Skopelitis' Extasis and the James Blood Ulmer Third Rail CDs. I happened to listen to the Umar bin Hassan disc (a Laswell production) with Myers aboard the other day. Holds up reasonably well. Reading these kinds of posts makes me wish I had the money to spend on a better record player setup. Just won a copy of "Afternoon of a Georgia Faun" on ebay for a nifty $10. Will report back. You're right. Brown was terrific. Thanks very much for the kind words, bbs, much appreciated. weeks ago i translated a poem by jean toomer "November Cotton Flower" into arabic language.